WASHINGTON — The Trump administration made good on its threat to slap Canada with hefty steel and aluminum tariffs, setting the stage for a possible trade war and leaving Prime Minister Justin Trudeau in the middle of a very divided group of leaders at next week's G7 summit. 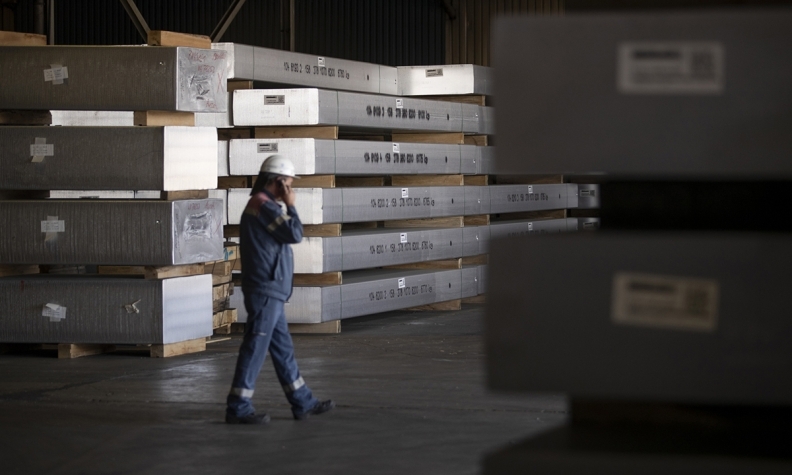 Commerce Secretary Wilbur Ross announced Thursday that the United States will end the temporary exemption on Canadian, Mexican and European Union steel and aluminum as of midnight, as scheduled. That means that President Donald Trump will be facing a group of leaders who will likely have taken retaliatory action against the United States when he makes his closely watched Canadian debut at the G7 next week in Quebec. During a conference call early Thursday, Ross shrugged off questions about the U.S. facing possible retaliation, or whether the move would negatively affect the G7 meeting. And he said that while he was looking forward to continuing negotiations, the U.S. is making its decision in the interest of national security — a justification Foreign Affairs Minister Chrystia Freeland has dismissed as absurd. "As to Canada, Mexico, you will recall that the reason for the deferral had been pending the outcome of the NAFTA talks," he said. "If any of these parties does retaliate, that does not mean that there cannot be continuing negotiations," Ross said. "They're not mutually exclusive behaviours." Trudeau, who was expected to respond to the decision later Thursday, spoke with Trump by phone earlier this week to counter the national-security argument, and made the same pitch Wednesday to U.S. Vice President Mike Pence. "He seemed to understand very clearly that national-security issues don't really apply when you talk about steel or aluminum from Canada," Trudeau said. But the U.S. is pressing ahead nonetheless, a long-threatened tactic sure to cast a pall over the G7 summit Trudeau is hosting next week in Quebec. Some observers say a G6-plus-one scenario is already shaping up, with Trump as the outlier. "There are periodic disagreements between any two countries on any given set of topics. That doesn't necessarily mean that it derails other discussions at all," he said. European Commission President Jean-Claude Juncker, who will be at the G7 table with the seven other country leaders, expressed strong opposition to Thursday's decision. "The EU believes these unilateral U.S. tariffs are unjustified and at odds with World Trade Organization rules. This is protectionism, pure and simple." Ross said the U.S. would consider the effect of those measures. He reiterated the U.S. concerns over the indirect flow of cheap Chinese steel into the U.S. through other countries. "We will consider whatever actions they do take but our focus is as mentioned on national security aspects of steel and aluminum," he said. "To the degree they are able to do a better job or more effective job of controlling transhipments, that certainly is a welcome development and something we would look at."